New locations for 3D mammograms now available in the I-95 corridor between Richmond and DC offer a 35% higher invasive cancer detection rate than using 2D mammograms. In the battle to beat breast cancer, screening plays a key role, and major improvements have now made three-dimensional or 3D mammography possible. By adding sophisticated software and a moving arm to the mammogram, radiologists are now able to receive a more detailed image with significantly greater clarity. This advancement is important for many reasons, including a reduction in call-backs and biopsies and greater peace of mind for women. Medical Imaging of Fredericksburg, Virginia can now be added to the resource list of 3D mammography locations in the mid-Atlantic. Medical Imaging of Fredericksburg is pleased to offer multiple 3D mammography (breast tomosynthesis) stations to serve our patients with breast cancer screening. This approach, called breast tomosynthesis, because of the advanced software that makes it possible, produces a three-dimensional view of the breast that assists radiologists as they work to identify and characterize the specific breast structures without the confusion that can be caused by overlapping tissue. Medical Imaging of Fredericksburg, with locations in Stafford, Lees Hill and Fredericksburg,VA has installed two 3d mammogram stations in the regional Imaging Center for Women located in Fredericksburg. This new state of the art equipment is the latest step that Medical Imaging has taken to ensure that women in the region have access to the best available life-saving equipment. 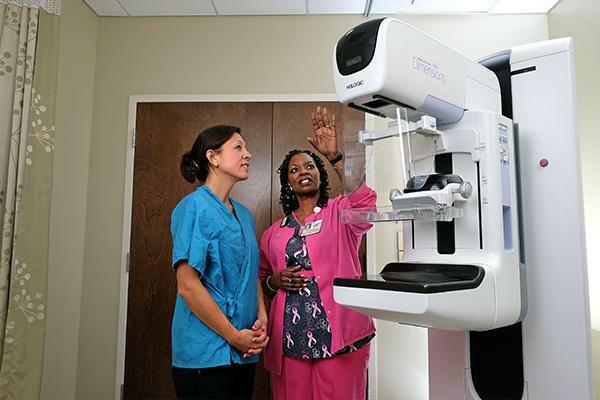 With limited number of 3D mammography locations available in the state, the Fredericksburg, VA addition, is an important one for women’s health. Breast cancer screening using 3D mammogram, when used with a conventional 2D mammogram, has a 35% higher invasive cancer detection rate than using 2D mammography alone. 3D mammograms give radiologists greater confidence with a large reduction in recall rates. Medical Imaging of Fredericksburg, in cooperation with the board certified and breast fellowship trained physicians at Radiology Associates of Fredericksburg, strongly urge women to begin annual screening at age 40, or sooner if high risk elements are present. The use of 3D mammography adds peace of mind and creates an important and highly detailed baseline for future screenings.